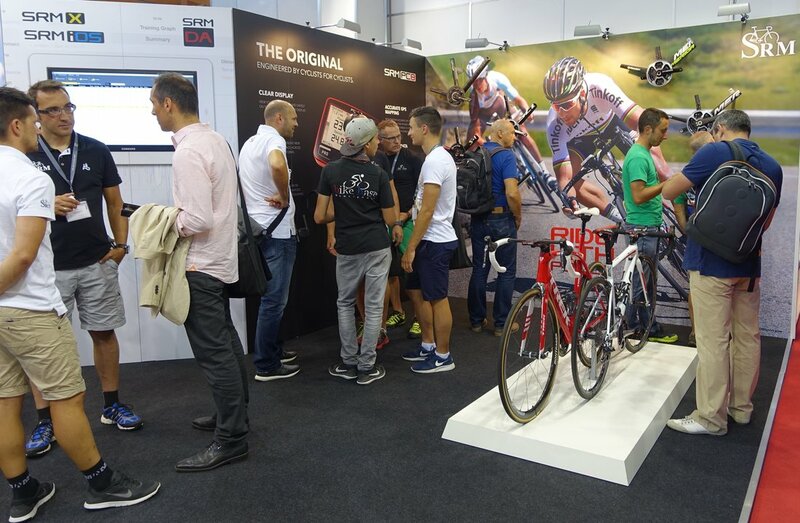 SRM celebrated its 30th Anniversary Year at Eurobike 2016 in Friedrichshafen. 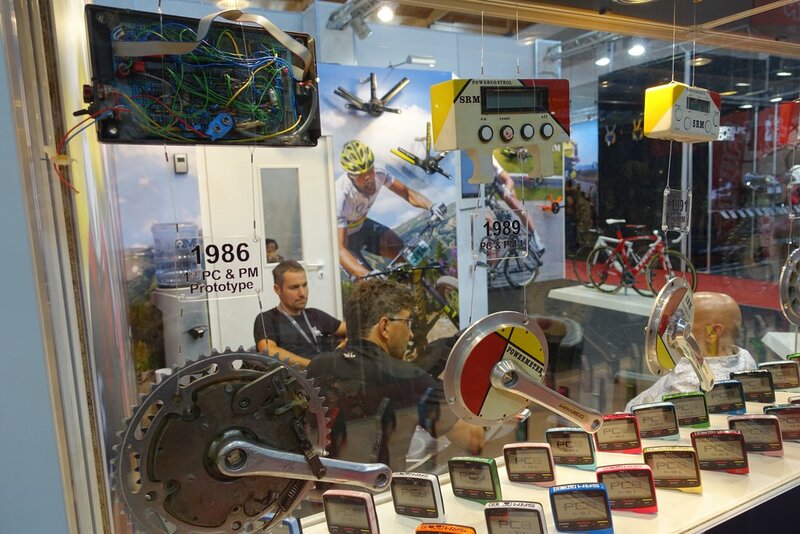 Booth A2-306 was packed with power and featured an extensive collection of custom PC8s in designer color patterns, the e-Indoor trainer with iOS app, their latest proprietary crankset in carbon and aluminum, as well as a museum gallery complete with a 1986 system. 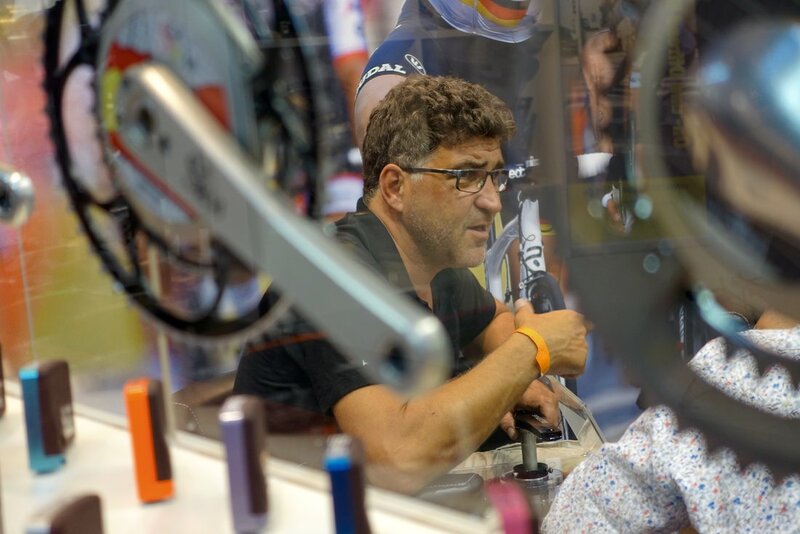 Take a look at the news and events from one of the world's biggest bicycle shows! SRM's proprietary collection cranksets in Alloy and Carbon. Distinct feature: the PowerMeter is set directly on the axel allowing extensive compatibility options with various frame designs and bike types. Primary purpose: to give customers the ability to easily move the PowerMeter between bikes and reduce compatibility challenges. SRM also produces the axel that will be available in various lengths to cater to different types of frames and meet the desired Q factor. 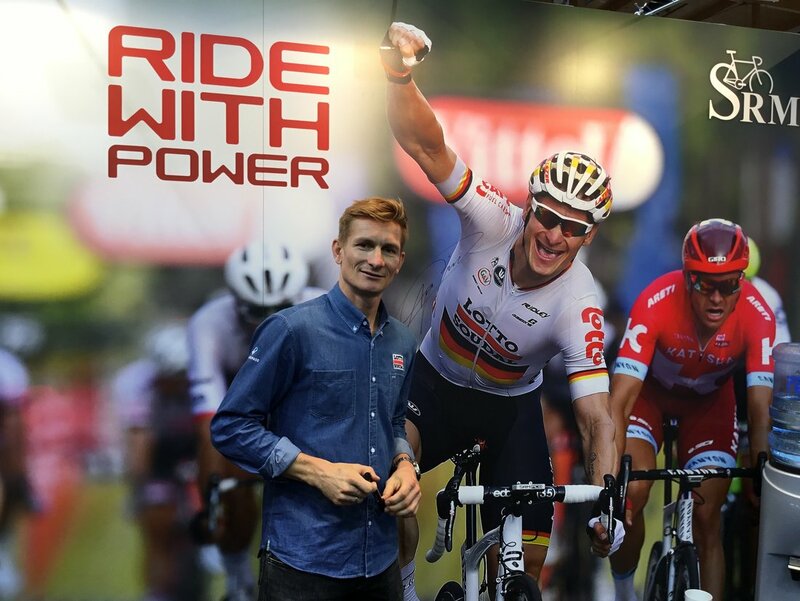 André Greipel, one of SRM's elite product testers and sponsored riders, joined an autograph session on Wednesday. 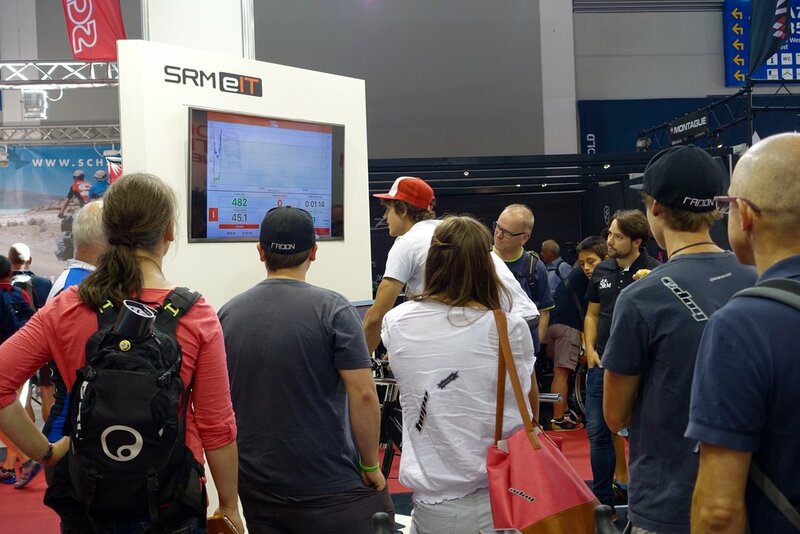 Visitors tested their power output on the SRM e-Indoor Trainer with iOS app. The trainer provides very precise interval training by quickly adjusting resistance levels. It is fully adjustable and offers custom set-up and measurements options. The frame is stabile and robust for sprinting and the high fly wheel simulates kinetic energy and a true feeling of riding on the road. 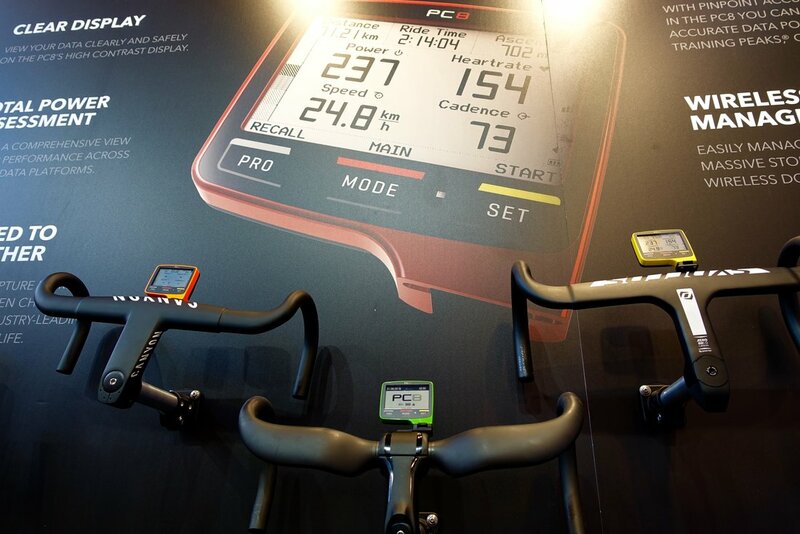 The e-Indoor Trainer integrates with the full line of SRM products; PowerControl and PowerMeter can be transferred between trainer and bike. e-Trainer specialist, Simone Stilli, reviews the iOS application with dealers. 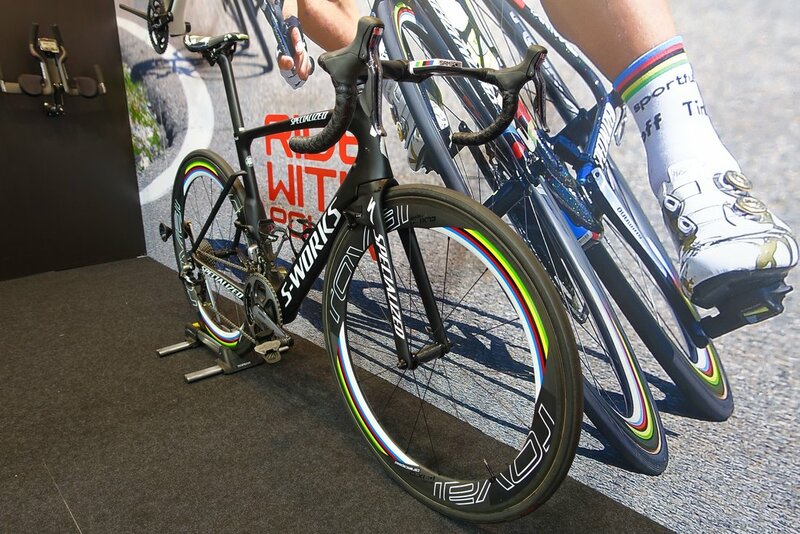 World Champion, Peter Sagan's, bike complete with WC PC8. PC8 can now be custom ordered in any RAL/Pantone color. Add graphics and patterns for a designer touch. Meet & Greet with Rio's Olympic Gold Medalist, Greg Van Avermaert, from SRM sponsored BMC Racing Team. SRM's history on display with a 1986 model weighing in at over 3kg! 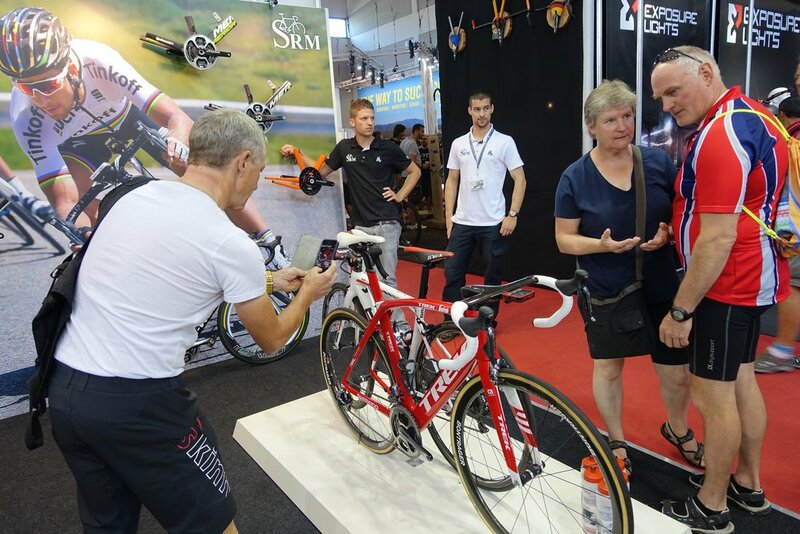 Bauke Mollema (Trek-Segafredo) and Richie Porte (BMC Racing Team) race bikes on display. DeviceAgent's next update will implement a PC8 screenshot-share function to directly post data graphics to Facebook, Twitter, email, and more. 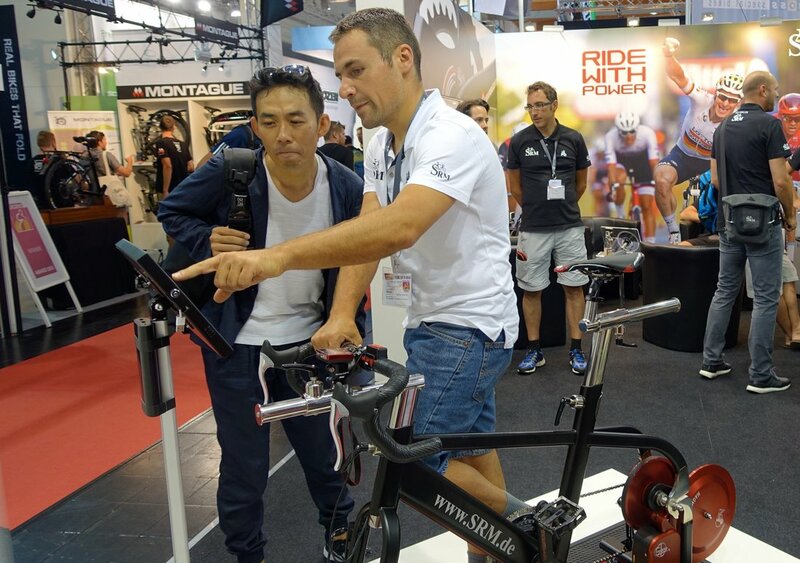 SRM founder and PowerMeter inventer, Uli Schoberer, discusses future product plans. 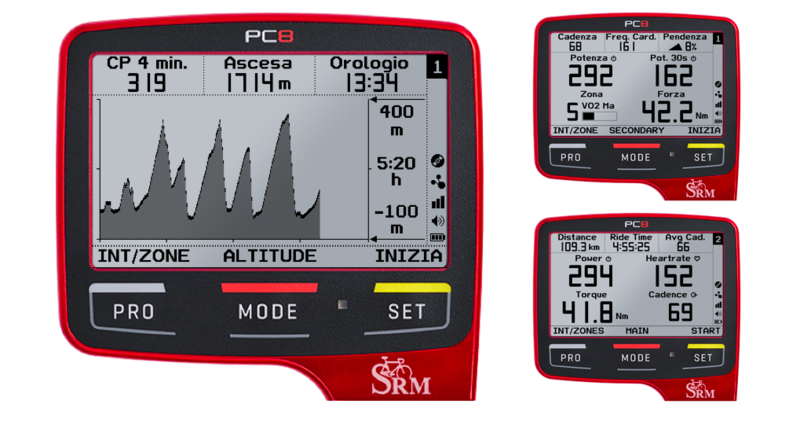 More handle bar solutions for the SRM PowerControl. 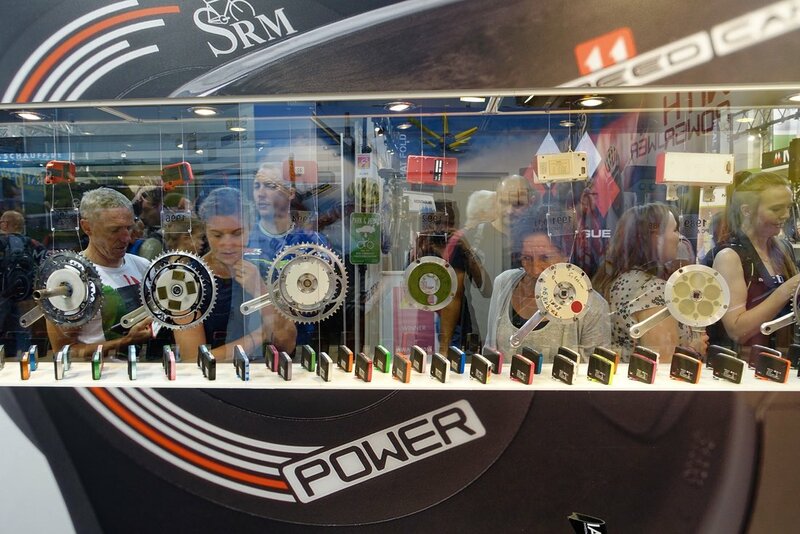 SRM booth A2-306: Stay tuned for more news!